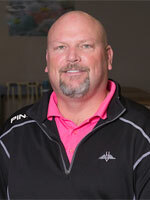 Todd has 28 years of experience practicing physical therapy in the Reno area. A graduate of the University of Iowa in 1988 with a Master of Physical Therapy degree, Todd has developed a philosophy of therapy that utilizes a variety of hands-on, manual techinques combined with an exercise program that promotes normal movement and strength. Balancing the body's movement patterns has become the model for treatment for problems of all types. 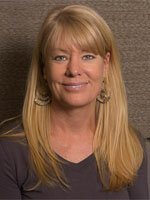 Betsy graduated from Regis University in Denver, CO with a Doctorate of Physical Therapy. She has practiced in Reno since 2009. With a strong focus on manual therapy, Betsy enjoys working on all types of patients with orthopedic and neurological conditions, and is passionate about restoring healthy movement & function. She grew up in Reno and is glad to now be raising her family here! 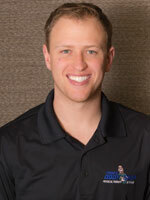 Daniel graduated from the University of Nevada, Reno with his Bachelors of Science in 2009. He then pursued and graduated from Franklin Pierce University with his Doctorate of Physical Therapy in 2014. Daniel has a passion for manual therapy and enjoys helping a variety of patients reach their highest level of function and performance. In his spare time, he likes to exercise, hike with his dogs, travel and coach football. He is excited to give back to the community he grew up in. Kat graduated from the University of Nevada, Reno with her Bachelors of Science with a major in Nutrition in 2013. She worked as a personal trainer through undergrad which inspired her to pursue an education in physical therapy, graduating with her Doctorate in Physical Therapy in 2016 from Franklin Pierce University. After practicing in Ohio for a year and a half and expanding her skills and knowledge of Vestibular Therapy and other expertise, she returned home to Reno to serve her community. Kat enjoys running, hiking, and spending time with her friends and family. 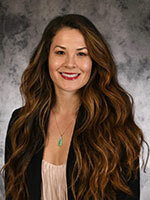 Brianna graduated from the University of Nevada, Reno with her Bachelors of Science degree in Community Health Sciences in 2012, and pursued her doctorate degree at the University of Nevada, Las Vegas in 2018. Brianna is passionate about working with people of all ages and orthopedic/neurological conditions with achieving their goals and functional independence. Brianna in her spare time likes to stay active with lifting weights, hiking, road biking, paddle boarding, and playing beach volleyball. 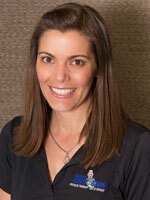 Diana graduated from Washburn University in 2000 with a physical therapist assistant degree. She spent the 12 years before that as a licensed massage therapist. Diana has been working with Todd since her graduation in 2000. During that time she has refined her skills to enhance the treatment programs offered at Todd's Body Shop Physical Therapy and rehab. 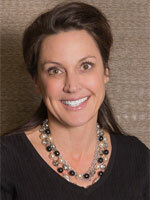 Marci has been working in the Medical field for more than 14 years. She balances her work at Todd's Body Shop along with Coolsculpting® by Marci. She is happy to be a part of both practices. 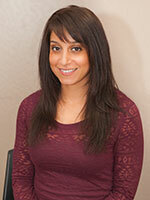 She enjoys interacting with the patients and strives to provide great care and service to all. When Marci isn't working she enjoys spending time with her family, running, biking and swimming.